What do care workers do? 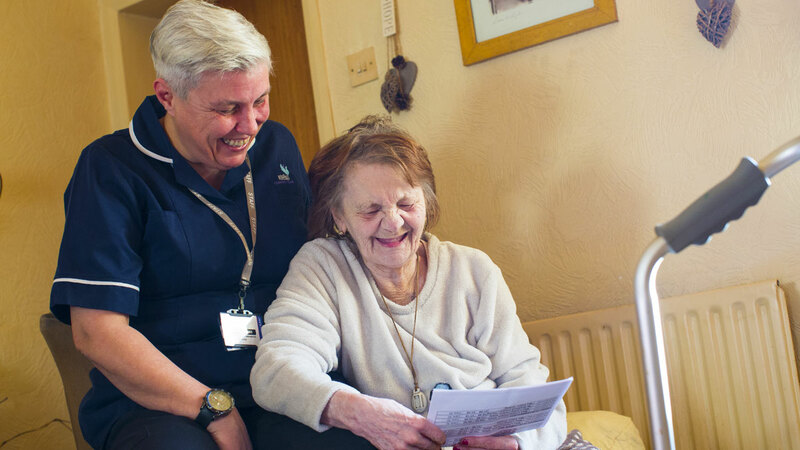 Care Workers help people in their own homes or in day centres, residential or nursing homes. It’s a really varied job, as everyone’s needs are different. The main role of a care worker is to support someone with their specific needs and help them with their daily tasks. You can search for current care jobs in Staffordshire over on the Find a Job pages. What are the benefits of working in care? Job security: As people live longer, there will be more and more people who need care. It’s one of the few careers that will not be affected by changes in the economy. Career opportunities: You can build a successful career in care taking vocational and/or professional qualifications to progress and increase the amount you can earn. Hear from real Staffordshire carers about why they work in care. How much do care workers get paid in Staffordshire? Different employers pay different amounts. You can see the current rates of pay by searching our job opportunities. On average though, as a new Care Worker, you will earn between £7.50-£10.50 per hour. The amount you earn can increase with your experience and with any relevant training or qualifications that you complete. If I look after people in their homes, will I get paid for my travel time? All of the organisations who are advertising care jobs on this site pay their employees for the time they take to travel from one customer’s house to another. Sometimes this is part of a single hourly rate. Sometimes care time and travel time is paid for separately. You may also receive a payment for the number of miles you have travelled between customers. When you find a job you’re interested in, get in touch with the employing organisation to find out how they manage it. Do I need any qualifications to get a job in care? You don’t necessarily need any qualifications to choose a career in care. What’s really important is that you have the right values and behaviours. What training will I need to do to start a career in care? When you start in your role you should do an induction which includes training necessary for your role such as health and safety, first aid, moving and handling recording and reporting information and managing medication. You might also receive specific training depending on your customer’s individual care needs. When in your role you could do a vocational qualification such as a Diploma in Health and Social Care or a continuing professional development qualification. Your employer might pay for you to do these qualifications (they could apply for the Workforce Development Fund to help), or you could apply for an Advanced Learner Loan to pay for them yourself. There may be opportunities to progress into senior rehabilitation roles where you’re responsible for managing a team or coordinate your service. You might also choose to go into other roles such as an advocacy worker, senior care worker, social worker or occupational therapist. There’s more information on progressing your care career on the Skills for Care website. How many hours a week would I need to work? A care career is really flexible. You could work a few hours a week or full time, during the day, evening or night time, weekdays or weekends. This is great if you need to work around other commitments in your life. When you find a job that you’re interested in, get in touch with the employing organisation to find out how the role could work for you. Will I need to work night shifts? Do I need to be able to drive/own a car to be able to work in care? If you can drive and have your own car, you will have more options around where and when you work, but it’s not essential. If you can drive, some employers have company cars that you can use , but if you live in the same community as those you care for, you could also choose to walk, scoot or cycle between care visits. When you find a job that you’re interested in, get in touch with the employing organisation to find out how it could work for you. Will I be provided with a uniform? Every care company is different, but most will provide you with a uniform so that your customers can easily see who you work for and so that you look professional. When you find a job that you’re interested in, get in touch with the employing organisation to find out more about their uniforms. Which organisations are recruiting people to work in care in Staffordshire? You can see which organisations are advertising care opportunities over on the care companies page. How can I find opportunities to start my Staffordshire Care Career? You can search for care opportunities over on the jobs listings.